NACOGDOCHES, Texas - The Stephen F. Austin State University Wind Ensemble will perform its first concert of the semester when the student ensemble presents "The Music of Viet Cuong" at 7:30 p.m. Tuesday, Oct. 9, in W.M. Turner Auditorium on the SFA campus. Described as "alluring" and "wildly inventive" by The New York Times, composer Cuong's music has been performed on six continents, according to Dr. David Campo, director of SFA bands and the Wind Ensemble. 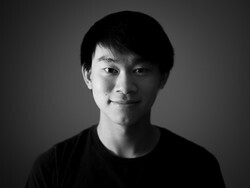 Cuong is a visiting composer in the SFA School of Music. So Percussion, Alarm Will Sound, Sandbox Percussion, the PRISM Quartet, JACK Quartet, Gregory Oakes, Kaleidoscope Chamber Orchestra, Albany Symphony, Jacksonville Symphony and Cabrillo Festival Orchestra, among others, have performed his works. His music has been featured in venues such as Carnegie Hall, Lincoln Center, the Kennedy Center, Cabrillo Festival of Contemporary Music, Aspen Music Festival, New Music Gathering, Boston GuitarFest, International Double Reed Society Conference, U.S. Navy Band International Saxophone Symposium and on American Public Radio's "Performance Today." "He also enjoys composing for the wind ensemble medium, and his works for winds have amassed more than 100 performances by conservatory and university ensembles worldwide," Campo said. The Wind Ensemble will perform Cuong's "Moth" and "Sound and Smoke." "Moth" was composed in 2013 and is a study in contrasts. Of the piece, Cuong says, "The moth to the flame narrative is a familiar one. We have all seen moths in the glow of flames or stadium lights. Scientists call this phenomenon "phototaxis," but I prefer to think of this attraction in much more romantic terms. 'Moth' seeks inspiration from the dualities between light and dark, beautiful and grotesque, reality and fantasy, and the ultimate decision to sacrifice sensibility for grace." Both the title and concept of "Sound and Smoke" were derived from a line from Johann Wolfgang von Goethe's play 'Faust,' when Faust equates words to "mere sound and smoke" and declares that "feeling is everything," according to Cuong. "Each of the two movements has been given an abstract, parenthetical title to further incorporate Goethe's conjecture that words will never be able to fully express what feelings and, in this case, music can," he states of the work. "Therefore, these titles serve merely as starting points for personal interpretation and should not interfere with the music itself." The program also features Kevin Puts' "Millennium Canons," which was originally written for orchestra and transcribed for band by Mark Spede. "Millennium Canons" was commissioned by the Institute for American Music of the Eastman School of Music of the University of Rochester and was premiered by the Boston Pops Orchestra in June 2001 at Symphony Hall in Boston, Massachusetts. Closing the concert will be Charles Ives' "Country Band March." Composed in 1903, the work is a parody of the realities of performance by a country band, from the "out of tune" introduction to the pandemonium, which reigns at the close. "While the main march theme is probably of Ives' own creation," Campo said, "the march features an impressive list of quotations that includes 'Arkansas Traveler,' 'Battle Cry of Freedom,' 'British Grenadiers,' 'The Girl I Left Behind Me,' 'London Bridge,' 'Yankee Doodle' and 'Semper Fidelis,' to name a few."